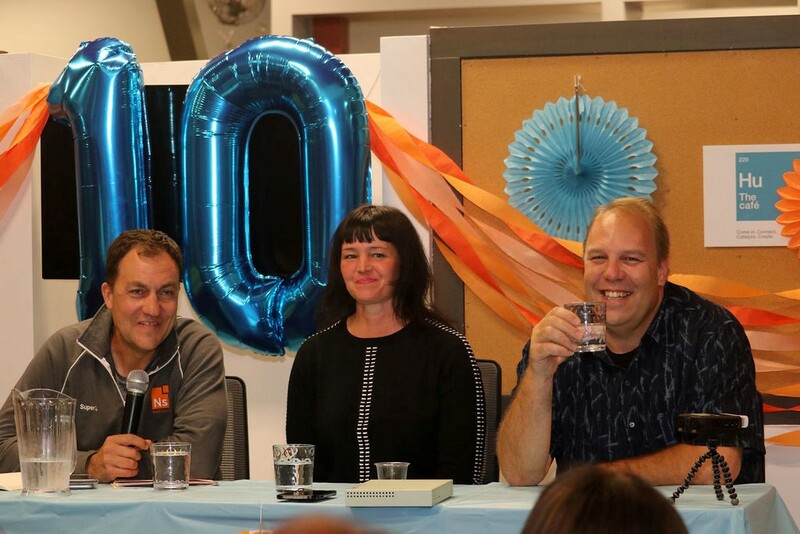 Back in 2008, when NextSpace launched in Santa Cruz, California, there were less than 200 coworking spaces total. Now there are upwards of 15,000 spaces around the world. NextSpace was way ahead of the curve on creating collaborative workspace, and it remains a leader in community-focused coworking. 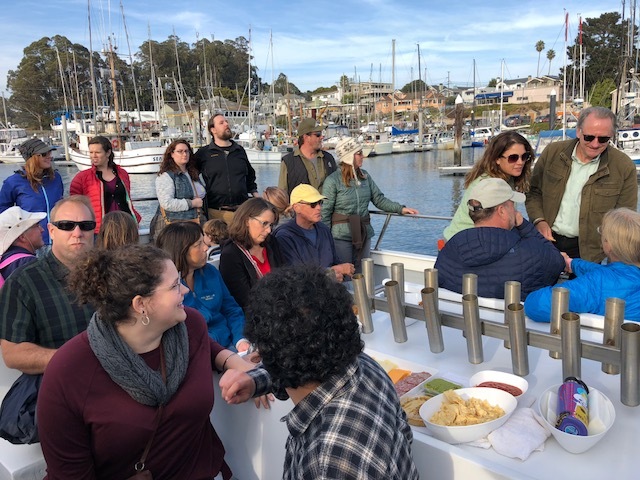 This week the NextSpace community has been celebrating our 10-year anniversary with a steady stream of festivities, including a sunset cruise on the Monterey Bay, a french toast party, an after-hours event, and a panel discussion with NextSpace cofounder Jeremy Neuner, first employee Iris Kavanagh, and first member Chris Miller that I moderated. 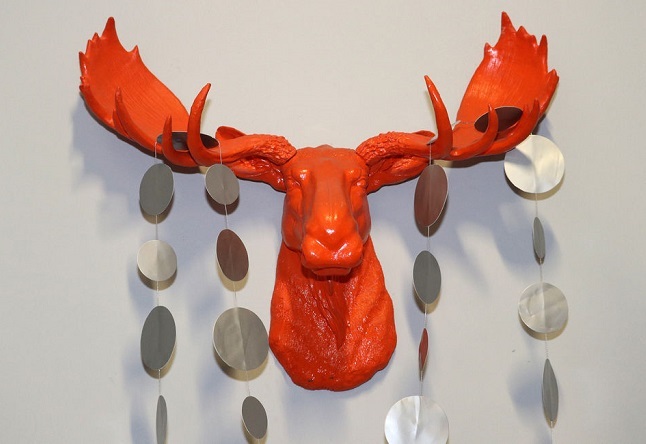 The famous NextSpace moose, Sir Reginald, aka Reggie, is the result of miscommunication and a lucky Ikea find. 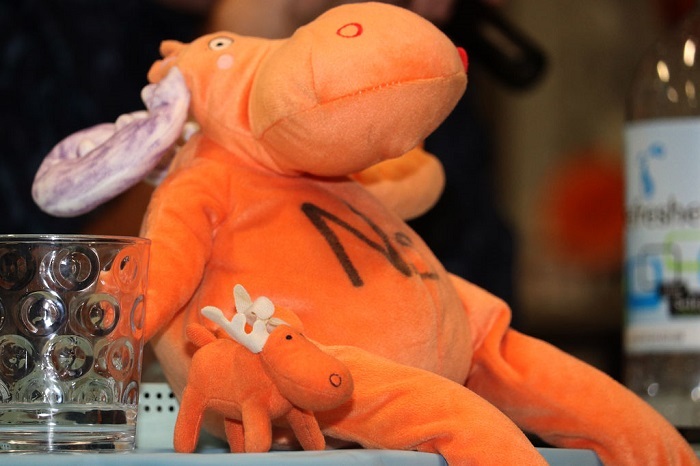 Iris mentioned “tri-colored mousse” to Jeremy but Jeremy heard “tri-colored moose.” Later, when shopping at Ikea, he found orange moose stuffed animals and the rest is NextSpace history. To no one’s surprise, Chris Miller played tech guru in the early days. Jeremy, Iris and company admitted knowing next to nothing about supplying internet to a coworking community, so Chris stepped in with his tech savvy to get (and keep) things running. I credited Iris with creating the NextSpace community ethos, Iris credited Jeremy, Jeremy credited Iris, and everyone acknowledged that it was really due to engaged, generous members, such as Chris. Jeremy always knew NextSpace would work. Later, he and the team proved it worked, but there was never a time he doubted the vision. The community vibe at NextSpace is stronger than ever. 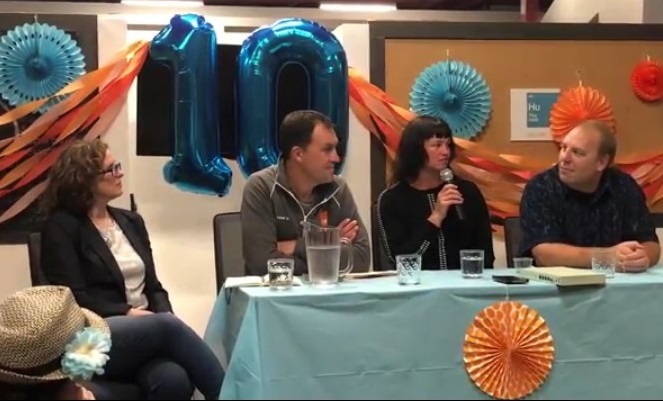 The fact that we’re celebrating 10 years and still going strong is a testament to the members and their commitment to building and maintaining a strong community ethos. 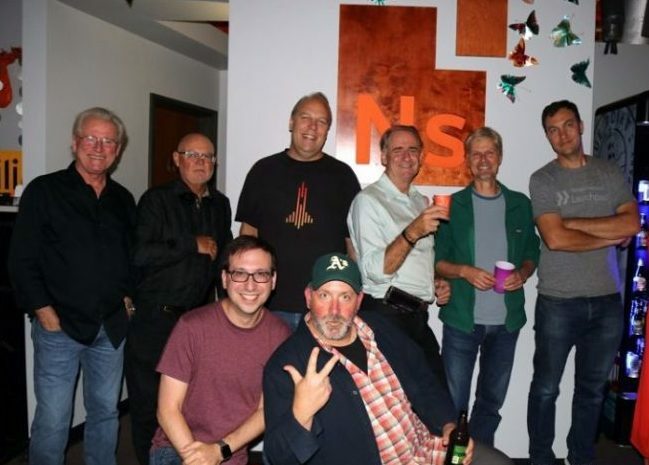 NextSpace Co-founder Jeremy Neuner (far right) with all the original members. The community’s love and respect for Pacific Workplaces is sky high. 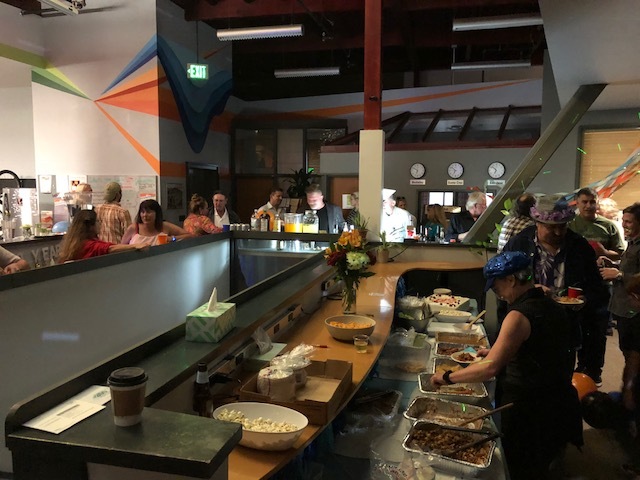 When NextSpace was struggling to survive, the PAC team came in, steadied the ship, brought back integral community builders Maya Delano and Iris, trusted them, and breathed new life into the space and community. 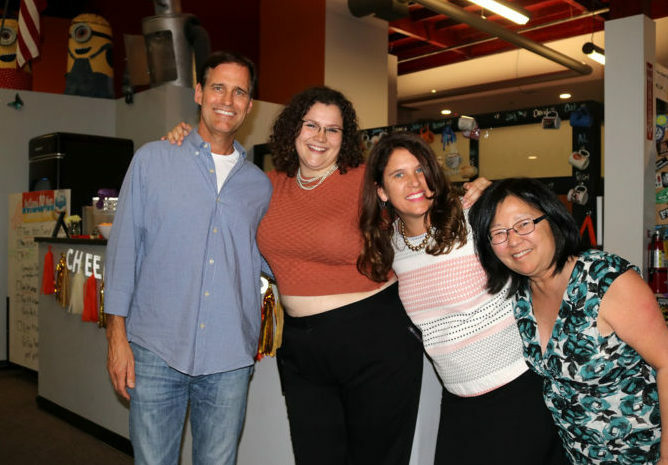 Left to right: Keith Warner of Pacific Workplaces, Jennifer Hamilton, Santa Cruz Community Coordinator, Maya Delano, Community Manager & Julie Kodama, NextSpace San Jose Community Manager. Photo credit: Jules Holdworth Photography. 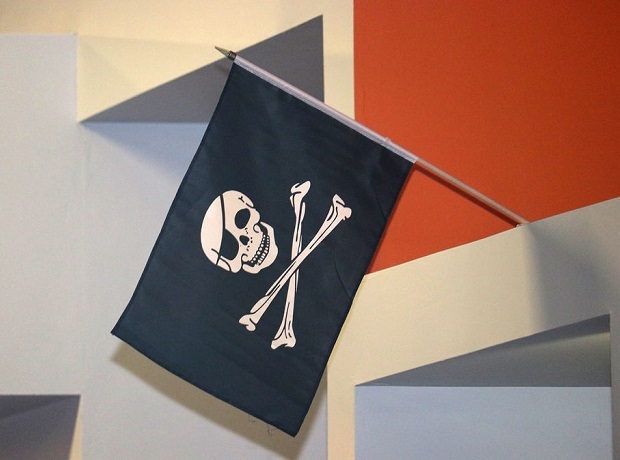 In NextSpace locations, the restrooms have a pirate flag nearby to guide newcomers. This is the result of a happy accident when one of the early members, who apparently dressed as a pirate somewhat regularly, asked to hang one in the space. He hung it near the restroom so when people would ask where the restroom was, they were directed to the pirate flag. The pirate wayfinding sign became part of the NextSpace culture. NextSpace is something extraordinary in Santa Cruz. It’s also something extraordinary in the world of coworking at large. Across the workspace industry, NextSpace has a reputation for building strong, generous, engaged, connected communities. NextSpace insiders know the value of community. 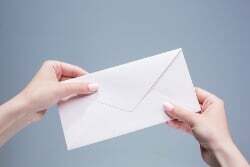 Trying to demonstrate and sell the value of community to investors, however, proved challenging. The idea for NextSpace was to create a space, see how people used it, then modify it. The team also did this with programming and everything else that happened in the space. It was, and is, a space created for, and by, the community. 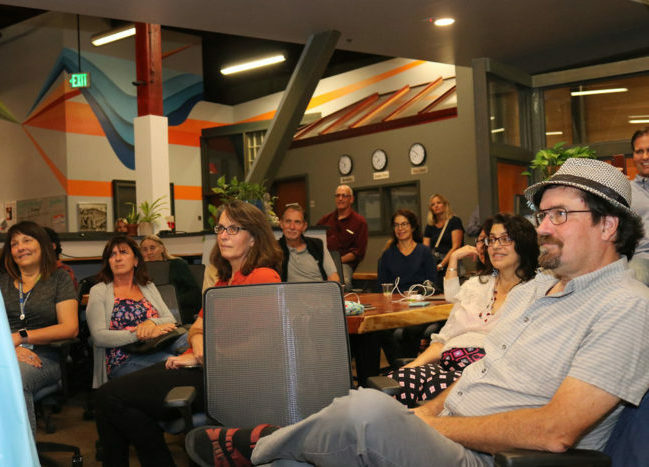 NextSpace consciously gives members ownership of the space by letting them hang art, bring things from home, and encouraging them to be their authentic, playful selves in the space. This is a powerful way to create a sense of home for a diverse group of people. The heart of NextSpace is its community. Jeremy, Iris and Chris set a tone, from the very beginning, of mutual support, generosity, authentic connection and fun. Enormous thanks to them and to all the NextSpace teammates, early and current members and supporters. Special thanks to NextSpace Santa Cruz member Jules Holdsworth Photography for providing the images for this article. NextSpace Coworking Santa Cruz is powered by Pacific Workplaces, a leading provider of flexible workspace solutions. For more information on NextSpace Santa Cruz, or to see off a list of our 18 locations, check us out at PacificWorkplaces.com.